The latest subject of our series, "How I Landed My CIO Job", is Jamie Head, CIO, Chief Digital and Technology Officer at Ocean Spray, where the opportunity to transform a historic American business from soup to nuts was irresistible. 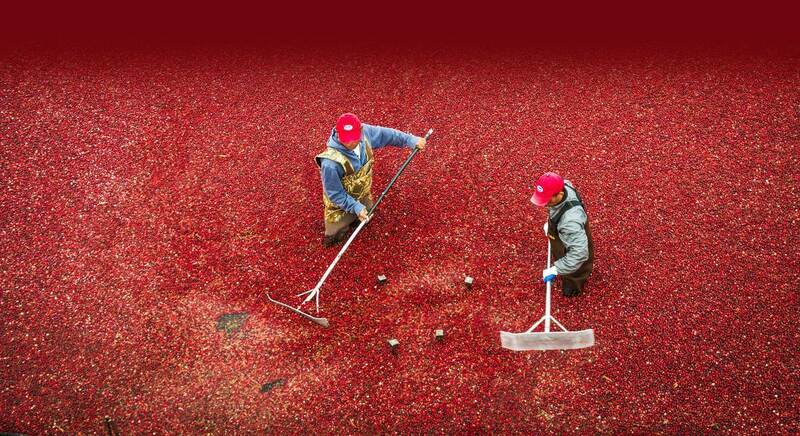 Steve Rovniak: Where were you working before you joined Ocean Spray? Jamie Head: I was CIO for the Americas region in the consumer division of GlaxoSmithKline (GSK), a large pharma business. In that role, I was a member of the Americas Leadership team. Were you actively looking for a new CIO role? No - far from it! I had my head down and I was focused on building and engaging a strong technology team at GSK, and looking to grow professionally. My job at GSK was amazing. It opened my eyes to the impact that digital and technology can have for people to do more, feel better, and live longer. The business leaders embraced technology, but more importantly, they lived the GSK values. Executives like Colin Mackenzie, Head of Americas, took the time to help coach and develop me, which was tremendous. How did you hear about the CIO opportunity at Ocean Spray? I knew Bo bby Chacko from my time at Mars, where I’d worked from 2001 to 2017. Bobby joined Ocean Spray as COO and was then promoted to CEO. He was planning a large transformation, and he gave me a call. The rest is history. What was attractive to you about the role? First, I was very inspired by the vision of the future of Ocean Spray that Bobby laid out. We are on a mission to connect farms to families for a better life. That mission really has a purpose for Ocean Spray, since Ocean Spray is a coop that is 100% owned by farmers. The vision and the mission made this a strong cultural fit for me. The opportunity to come into a global CIO role and transform the business from soup to nuts, leapfrog to modern technology platforms and help shape the digital agenda on both the supply and demand side of the business was one of those rare opportunities I couldn’t pass up. There aren’t too many chances to be part of transforming and growing a historic American brand. I am elated to be part of that. Could you briefly describe Ocean Spray’s business? As a cooperative, we are the worlds largest cranberry producer in the world and operate Beverage, Food, B2B ingredients and Food Service arms. 100% of our profits go to our farmers. We are on a mission to tell our story of being farmer-owned, and shift to more of a health and wellness cooperative. It’s an exciting time to be at Ocean Spray. After working at large companies like GSK and Mars, what is the main difference you have noticed about working for a cooperative? When the actual growers are the primary shareholders and are members of the board, you have a different outlook across all aspects of your work. You still do things for the benefit of the consumer, but also for the benefit of the farmers. It is a very long-term game, because you are always considering the wellbeing and longevity of the growers. What were they looking for in their new CIO? The board and the leadership team recognized that growing this business would require some significant transformation across nearly all functions. The mandate for the CIO search was to find someone with CPG experience that could bring best practices into the IT organization and the business, make things run more efficiently, and build new capabilities in the area of data, analytics and marketing technology to support our growth, and to deliver more strategic expertise and counsel. I was fortunate to know the CEO from our time together at Mars, and that made it easy to have direct conversations with him about the business and Ocean Spray’s strategic direction. I also spoke to as many people as possible to learn about what a cooperative is, how it operates, its financials, and how decisions are made. I spoke with several members of the management team and the Board. Learning directly from a Board member about how his family has grown cranberries for five generations was very inspiring! Talking to other CIO friends who had worked for cooperatives or similar organizations was also important to help me prepare for my interviews, and they are still helping me on my journey. While preparation was key, I also wanted to make sure Ocean Spray knew what they were getting in me. So, I was transparent about my work experience and highlighted any potential knowledge gaps so that I could either develop necessary skills, or put the right people in place to cover those gaps. Knowing yourself is key to success in any leadership role. Was there a particularly memorable question or exchange that took place during your interviews? First, I talked about strategic relationships, and leveraging the right-sized partners to bring mutual benefit. I also brought up my obsession with focusing on what is necessary for success and removing waste. As CIO, I would not let my team become distracted by shiny objects. We’d be disciplined and we’d only focus on top priorities – on the key deliverables that we know add value. How did you prepare to start your new role? Family comes first, so ensuring that we had a place to live and having all of that organized was very important. We moved up from Pennsylvania to Massachusetts, which wasn’t a long distance move, but as anyone with kids knows, it was still a huge change for the family. So I took some time off between roles to get that right. I like to use frameworks, so I dusted off my “First 90-days” plans from my days at Mars and GSK, and I re-read The First 90 Days, by Michael Wadkins. And lastly, I know what it can be like to have a new boss coming in, so I set up calls with my new IT team before I started the job, just to say hello and break the ice. It helped me a lot too, as people are the most important and rewarding part of any managerial role. Who do you report to at Ocean Spray? What steps did you take to learn the business? CIOs have to have a good handle on all functions within a business to operate well. I really wanted to ensure that I could be an ambassador of our brand and heritage, so I spent time learning about the whole cranberry farming process. Did you find that anything that was ‘on fire’ and needed to be dealt with right away? The IT team was stuck spending too much time in firefighting mode. They were eager to put in more structure and discipline around IT governance, and ways of working to smooth things out. Building a PMO function was a good place to start. Quick wins also came with our Digital Workplace program. We have added new employee productivity tools, cloud-based conferencing and other modern collaboration solutions. It is all about providing people with the technology they need to do their jobs well – and also the training they need. Our employees love it! What else have you been working on since joining the company? Creating and delivering a comprehensive IT strategy and roadmap is essential, so we have conducted a capability mapping exercise to help understand where we are and developed a business focused case for change for Board approval. I really liked the approach we took at Mars in our annual IT satisfaction survey, so I took a similar approach here. Kudos to Info-Tech, who has a great accelerator for surveying and diagnosing your organization. I now have a base indicator and rich commentary from our employees to validate and create an action plan for change. We are also on our way with data and analytics, getting the plumbing done and populating our data lakes for single-version-of-the-truth reporting and insights across Finance and Sales. Master Data is essential, as we all know, so we’re working on a plan to address that as well. What other changes have you made, or do you plan to make in the near future? We will be fully cloud-run by August 2019. This is a massive undertaking, but one that will future-proof us for efficiency and agility. We also have a new Trade and Demand Planning platform on the way, which is more data-driven than other products I have seen. We are eager to see what that will bring. How do you know when your IT organization is succeeding? When the business is growing. When your team is engaged. When you have clearly defined metrics and evidence to tell you so. Also, I am a firm believer in, “If we are not making mistakes, we are not pushing ourselves hard enough.” So I want to see evidence of failures to learn from (small ones though, please!) and build that trust and innovation culture. If you were granted a ‘redo’ on your first 90 days, what would you do differently? I would take better notes and have a separate idea book to ensure I do not lose them. Personal insights in the first 90 days are crucial before you get assimilated. What new consumer technology do you find exciting personally? It has to be digital health wearables. This is exploding! The more we can do to be proactive and preventive with our bodies, the better. What is your favorite place to travel on business? Given that it is my home country, I would have to pick England! I can catch up with family and friends, and possibly see a Harlequins rugby match if I am really lucky. What advice do you have for IT executives thinking about entering the job market? Join an industry that you are passionate about and use your network. Join local technology communities. Generally speaking, we are a collaborative bunch! 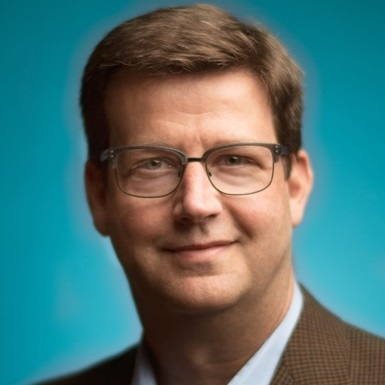 Jamie Head is the CIO, Chief Digital and Technology Officer at Ocean Spray Cranberries, where he is overseeing a Cooperative-wide transformation. 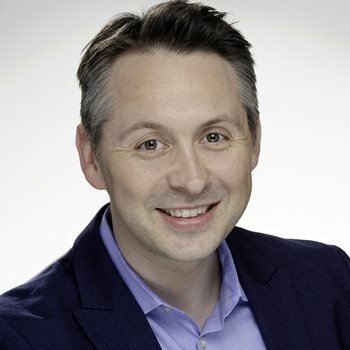 Head joined Ocean Spray in July 2018, bringing 18 years of global experience across the CPG industry, working on mega brands at Mars and GSK. He brings extensive experience from various global roles developing business-led IT strategy, deploying core IT solutions, digitizing products and leading people on a developmental and cultural journey. Head is an IS Committee member for the Grocery Manufacturers Association (GMA). Steve Rovniak is Executive Director, Marketing and Media at Heller Search Associates.